Veriport Information Technologies was established in 2006 as a company dedicated to provide IT solutions. Our operations today include Business Application Management and Business Intelligence Services. We have been working with leading national and multi-national companies in Turkey, Middle East, Africa and America from numerous sectors including telecommunications, retail, finance and government. to make information technologies create real benefit and competitive advantage for innovative companies. to be a key solution provider in tomorrow's digital & integrated business world with a continuously learning & developing quality-oriented organization. Veriport has been working with companies from a variety of sectors and geographies. Our operations so far have covered Turkey, USA, South Africa, Azerbaijan, Georgia, Kazakhstan, Ukraine, several Middle East and North African countries like Egypt, UAE, Oman, Saudi Arabia, etc. Our strong international presence covers more than 20 countries across 4 continents. Our company has been among the top 500 ICT companies (and among the top 100 ICT companies in Turkish Producers category) according to InterproMedya's "Top 500 ICT Companies in Turkey" study for the last 5 announced years; 2012, 2013, 2014, 2015 and 2016. "Bilisim 500" is a detailed list of Turkish IT sector’s top 500 companies, ranking them by their turnover, in general – sub-categories, stating valuable features and predictions about the market. Veriport IT operates under the full name of Veriport Bilişim ve Danışmanlık Limited Şirketi. As an officially accredited R&D company, our head office is located on YTU Teknopark, Istanbul. Yildiz Teknopark hosts 265 R&D companies, 58 incubator companies and more than 5,000 qualified R&D and software employees in various sectors such as; software, information and communication technologies, telecommunication, electronics, pharmaceuticals, machinery and equipment, chemical, aerospace, energy, defense, construction, food. Yıldız Teknopark was established in 2003 with the vision of becoming an international collaboration center where new ideas convert to innovative outputs. Veriport, being a producer and exporter of software in Turkey, is a member of YASAD (Software Industrialists Association). 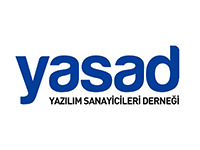 YASAD is a pioneer association that was founded in 1992 with the mission to expand Turkish software market and increase software export. YASAD's mission is to place Turkey in the list of major global players who export software and related high value-added technological products, and continuously improve its position, converting the sector into one of the driving forces of the Turkish economy.